China has released a Tibetan monk held for six months without charge after pressure from two of China’s most prominent human rights lawyers. Jigme, a 42-year-old lama, was released on May 2 and returned a day later to his monastery, half a year after dozens of police raided his quarters and took him away for the second time in a year. Police have arrested hundreds of Tibetans, among them monks and civilians, since a riot in the capital Lhasa on March 14 last year left 22 people dead and led to anti-Chinese demonstrations across the Tibetan plateau. Many have yet to be charged. Mr Li said that an important factor in the decision to free the monk was the appearance of lawyers to argue on his behalf. The monk told Mr Li and another lawyer, Jiang Tianyong, that he had received a warning from the police not to accept interviews and to see as few people as possible. Mr Li said that the monk told him that he was as well as could be expected. Jigme, a member of the Gyuto Dratsang or Upper Tantric College, one of six institutes of learning at Labrang Monastery, incurred the wrath of the authorities when he posted a video account on YouTube of his ordeals after the March unrest. He described how he was detained on March 12 and questioned for two days before being taken to a prison in a nearby town. Conditions there were harsh, he said. "They would hang me up for several hours with my hands tied to a rope ... hanging from the ceiling and my feet above the ground. Then they would beat me on my face, chest and back, with the full force of their fists." His interrogators wanted to know if he was a leader of protests outside Labrang on March 15 and what contact he had with the Dalai Lama, the region’s exiled spiritual leader. “Finally, on one occasion, I lost consciousness and was taken to hospital. After I regained consciousness at the hospital, I was once again taken back to prison where they continued the practice of hanging me from the ceiling and beating me." After Jigme was taken to hospital for a second time, apparently on the verge of death from internal injuries, he was handed over to his family who took him to another hospital where he recovered after 20 days. After making the video, he spent several weeks on the run, hiding in the mountains until the weather turned too cold and he returned to his monastery. He was taken away within days of his return. It is the second time in recent weeks that Mr Li and Mr Jiang have come forward to help a detained Tibetan. A court decided at the last minute to postpone judgment last month on a Tibetan living Buddha who faces 15 years in jail on charges of possessing illegal weapons and illegally seizing government land. Legal experts said that such a move was unusual for a Chinese court and could indicate that the unusually spirited defence mounted in court and the international publicity the case attracted could have prompted debate among judicial officials over the sentence. May 6 – China has released a Tibetan monk who spoke on camera criticizing the Chinese government as the restive Himalayan region was still reeling under Chinese crackdown last year. Jigme, 42, was first arrested on 22 March 2008 and put under detention for two months for his alleged role in one of the biggest protests in Labrang on March 14, last year, according to the Dharamsala based Tibetan Centre for Human rights and Democracy. 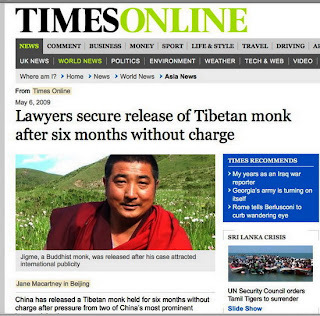 Jigme was released two months later on medical parole. Jigme then went into hiding for nearly two months before facing his second arrest on November 4 last year when scores of People’s Armed Police (PAP) and Public Security Bureau (PSB) officials nabbed him from a Tibetan home in Labrang. Sources say that he was kept since then in an undisclosed location for nearly six months during which his physical condition had become very weak. Jigme was released on May 3, 2009, which was being observed worldwide as the World Press Freedom day. However, it is not known if the coincidence was intentional on the part of Chinese authorities. Dharamsala, May 6 – A judge in Spain said he has requested to interrogate eight Chinese political and military leaders about possible crimes against humanity in Tibet, according to reports. Zhang Qingli, Chinese Communist Party Secretary in Tibet (File photo)The suspects named by Spanish Judge Santiago Pedraz include Chinese Defence Minister Lian Guanglie, State Security Minister Geng Huichang and Public Security Minister Meng Jianzhm, a report by Deutsche Press Agentur said yesterday. Other Chinese officials named for interrogation were Communist Party Secretary in Tibet Zhang Qingli, Politburo member Wang Lequan, Ethnic Affairs Commission head Li Dezhu, People's Liberation Army Commander in Lhasa General Tong Guishan and Zhang Guihua, political commissar in the Chengdu military command. Wang Lequan, Politburo member and Communist Party Secretary in East Turkestan (Xinjiang) Of them, Zhang Qingli, Wang Lequan and Li Dezhu have been reportedly associated as principal architects of Chinese repression in Tibet and other restive ethnic minorities. Spain's National Court, which handles crimes against humanity and genocide, accepted to hear a lawsuit filed by Tibet Support Groups on July 9 last year. It was admitted under the principle of "universal competence" adopted by the Spanish judiciary in 2005 and under which Spanish courts can hear cases of genocide and crimes against humanity wherever they occur and whatever the nationality of the defendant. China, however, hit back at Spain which it accused of trying to interfere in its administration of the Himalayan region. 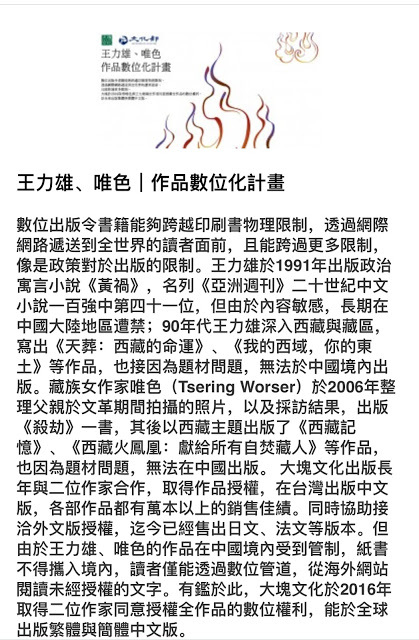 Li Dezhu, Chinese Communist Party’s racial theoreticianThe lawsuit claims that the repression last year in Tibet had resulted in the death of about 200 Tibetans and disappearance of nearly 6,000, while 1,000 people were seriously injured. The Tibet population was persecuted for 'motives which have been universally recognized as unacceptable,' the judge said in a document after hearing witnesses. Pedraz said he could interrogate the suspects at his National Court in Spain, or before a Chinese court. 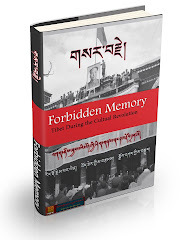 Another National Court judge is currently investigating an alleged genocide in Tibet in the 1980s and 90s which was testified before it by three former Tibetan political prisoners, Palden Gyatso; Jampel Monlam and Bhagdro. Spain's National Court has investigated a string of alleged human rights crimes in other countries, arguing that they fall under universal jurisdiction. A Spanish lawyer Dr Jose Elias Esteve and Alan Cantos of Comité de Apoyo al Tibet (CAT)were in India in February last year to ask Tibetans to testify before the Spanish court after India refused to set up a Rogatory Commission that would allow the Tibetans to testify in India, according to a report by Asian Age dated Febraury 17, 2008.